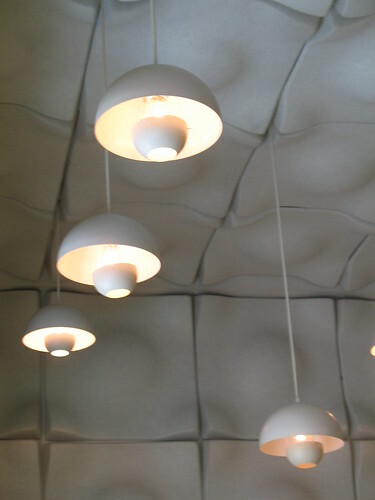 With all the light streaming into the loft this morning, you'd think I'd wake up earlier than 11:30. Today was all about relaxing. We did a really good job of it. After rolling out of bed, I walked to The Standard with Mr. Monkey for brunch. For the record, Mr. Monkey had been up for hours, but he was vewwy vewwy quiet while I slept. He is the bestest. 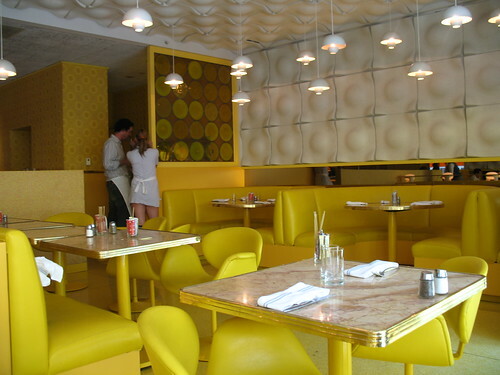 I have always loved the look of the 24-hour diner at The Standard in all its sunny bright yellowness. Mr. Monkey ordered a large fresh watermelon juice ($6). We got the last glass available, which wasn't quite full, so it was on the house. 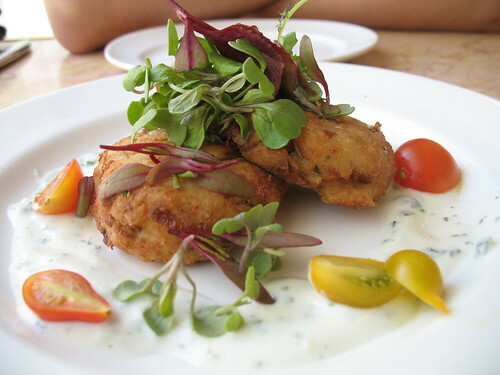 We shared an appetizer of Moroccan crab and artichoke cakes, mint yogurt, and tiny mixed greens ($12). Fabulously fresh and meaty. 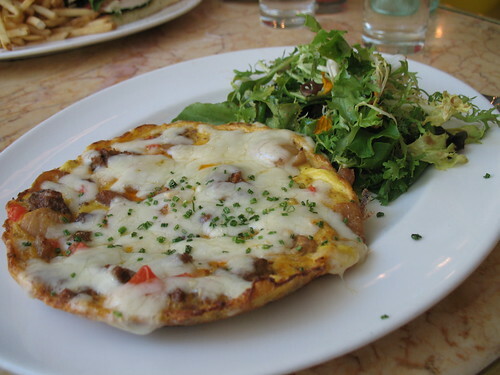 I got the Spanish frittata with chorizo, onion, tomato, and jack cheese and mixed greens ($14). Loved this. A lot. The onions were especially good -- sweet and caramelized to perfection. Mr. Monkey chowed on the pesto chicken sandwich with arugula, tomato, and mozzarella ($12). Good sandwich, although it could've been a tad more flavorful. We both added some Tabasco to our respective halves. (Yes, we split everything!) The fries were, as always, hot little sticks of awesomeness. 'Twas a yummy way to start my late-starting day. Oh snap! My cousin live within walking distance (Market Lofts) from this place...I didn't know they had a brunch! Can't wait to try it! Thanks for the tip! 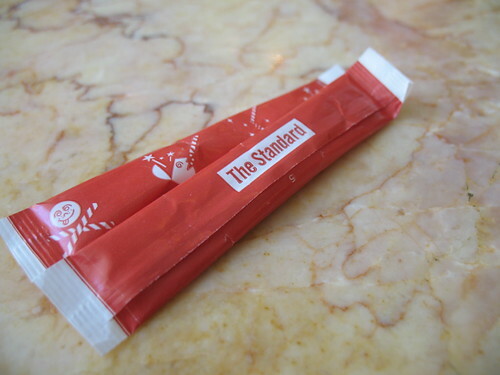 Awwww it's the Standard! Brings back such great memories. Wowwwwww!!! 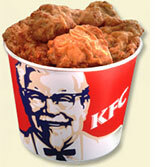 The food and drink look phenomenal there! I love crabcakes and chicken pesto sandwiches and I've never had fresh watermelon juice. I remember going to the Std. in the past for the club but unfortunately didn't bother to eat there. yummy! The food looks delish. And that fresh squeezed watermelon juice?? Amazing! 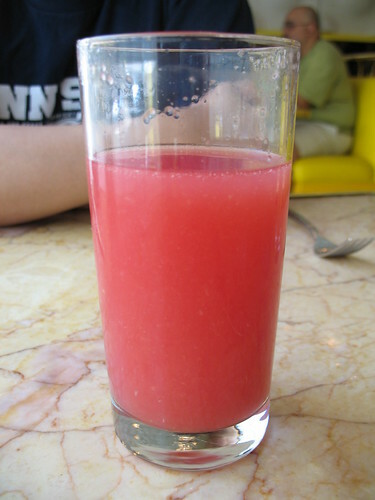 I would love a tall glass of that watermelon juice right now. 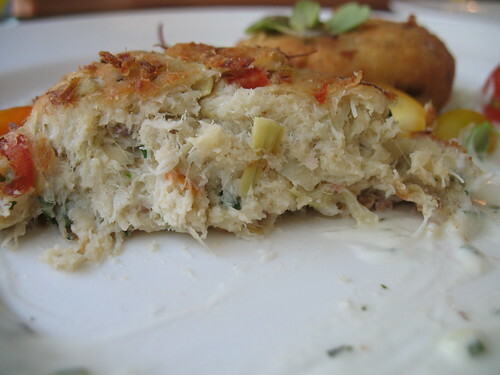 And those crab cakes. OK, fine. I want all of it. 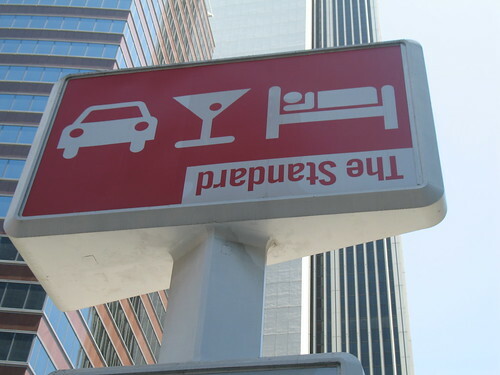 ah yes, the standard. so many good memories there! the food looks delish. we should have a standard brunch GTG. 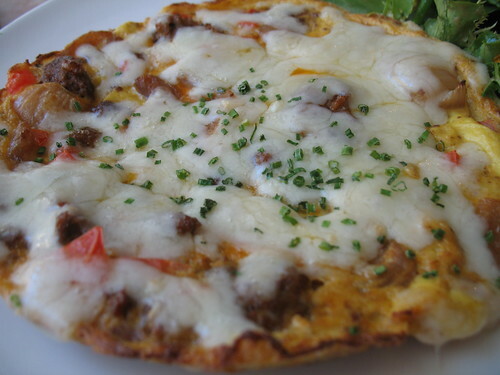 You had me at "frittata with chorizo"
yay for light-filled lofts! mr. monkey is so nice. i am pretty loud (unintentionally) when i wake up before my hibernating bear. I can't believe how close you live to so much stuff. Maybe someday you'll run into Brit Brit. Yay! I love the Standard diner! 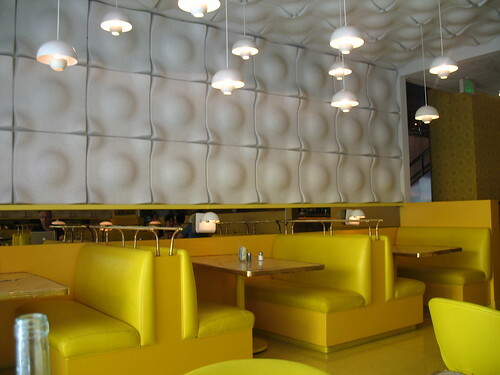 The food looks delish, but the wall and ceiling coverings give me the heebie jeebies.